At 1:52 AM local time on April 15, 1986, the first of over 40 U.S. aircraft crossed over the shores of Libya. Approximately 11 minutes later, 39 had departed Libyan airspace, returning to their respective aircraft carriers or rendezvousing with tankers over the Mediterranean. They left a swath of destruction in their wake, with airfields, government installations, and military barracks aflame. Over Tripoli, tracers from anti-aircraft guns would continue to light the skies for several nights as traumatized Libyan gunners saw phantoms among the clouds, fearing a second strike. A product of years of deliberation and bitter inter-cabinet rivalry, Operation El Dorado Canyon was the beginning of the contemporary punitive strikes that have become routine with the advent of the Global War on Terror. The operation is held as a signal triumph of American ability to project combat power but should also be considered a cautionary tale. Study of the lead-up to this early bloody nose strike offers vignettes of a contentious debate that is now often papered-over with a 17-year old authorization for use of military force. The operation’s under-emphasized consequences also offer a poignant lesson for those that might attempt to resurrect the prospect of a similar strike against North Korea. Although White House sources have disavowed designs on such an attack, the 2018 dismissals of both the U.S. Secretary of State and National Security Advisor in favor of vocal proponents of limited, punitive strikes against North Korea are clear signs that this debate has yet to truly conclude within the U.S. government. The so-called Forever War has rendered the use of American military force sufficiently common so as to be unremarkable. Manned and unmanned strikes in Southwest Asia, standoff weapons employed against state targets in Syria, and U.S. Special Operations Forces conducting a myriad of missions worldwide are an accepted status quo. News of civilian casualties and the loss of American service members is greeted with one news cycle’s worth of public regret. In the mid-1980s, this was not the case. President Ronald Reagan and his cabinet were deadlocked, wracked with the dilemma of applying the might of the state to limited conflicts and terrorism, and haunted by the thought of engaging U.S. forces a Vietnam-style endless war. For several years, Reagan and his administration struggled to articulate a strategy capable of responding to a stream of high-profile attacks on U.S. citizens—e.g., multiple bombings of U.S. targets in Beirut, a vehicle-borne improvised explosive device attack against the U.S. Embassy in Kuwait, kidnapping of several notable Americans (including the CIA’s Beirut Chief of Station William Buckley), and a series of deadly aircraft hijackings. The president wanted action but was averse to risking U.S. lives or collateral damage. His cabinet was split between two powerful secretaries—on one side Secretary of State George Schultz, an aggressive proponent of the less-discriminate use of force; on the other, Secretary of Defense Caspar Weinberger, a World War II veteran wary of involving U.S. forces in limited, open-ended conflicts in the post-Vietnam era. 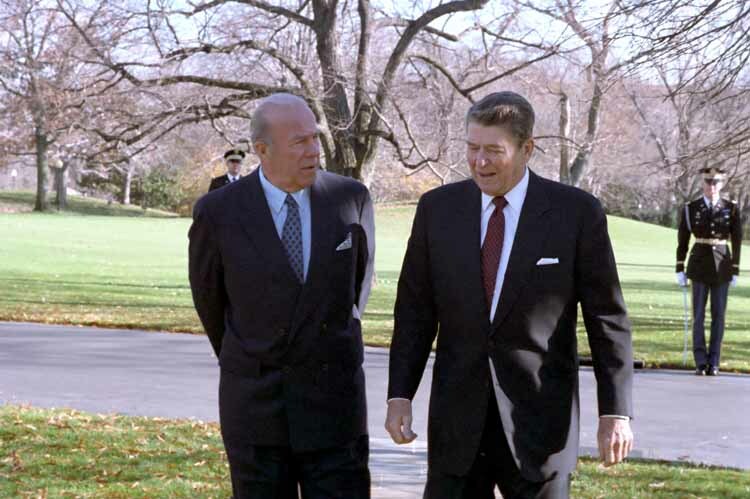 Despite Reagan’s ruthless campaign against incumbent Jimmy Carter, in which Reagan regularly chastised Carter for his weakness against state-sponsored terrorism, he struggled to land a single meaningful blow against terrorism in his own first term. Attacks against U.S. military forces and civilians went unanswered, in part due to a lack of accurate intelligence and unwillingness to risk the lives of American hostages held by various terrorist groups but largely due to the fierce protracted debate within Reagan’s cabinet. Schultz wanted action, Weinberger was not convinced force could affect the situation, and this ideological battle between the Secretaries resulted in a stalemate on the subject of counter-terrorism. Then, just before the presidential elections in November of 1984, Secretary of State George Schultz delivered a fiery speech at the Park Avenue Synagogue in Manhattan. Schultz called for an end to U.S. equivocation over striking out at terrorists and their sponsors, advocating for swift military action even without “the kind of evidence that can stand up in an American court of law.” In a reference perhaps calibrated to appeal to the president’s thespian roots, but more likely a barb intended for Weinberger, Schultz’s remarks culminated with a warning that, ''we [the United States] cannot allow ourselves to become the Hamlet of nations, worrying endlessly over whether and how to respond.'' In 2018, echoes of Shultz’s argument are still audible in the vacuum of responsibility where debate over the use of force should be taking place. His goal to avoid taking “the time for a renewed national debate after every terrorist attack” seems to have been taken to heart. Ironically, a deeper reading of Hamlet portends Schultz’s argument against deliberation, and perhaps what eventually characterizes U.S. foreign policy. Tormented by his father’s ghost hounding him to take action, in the third act of the renowned Shakespearean tragedy Hamlet lashes out at a sound without a second thought, only to murder an innocent old man, while in the culminating scene Hamlet succeeds in exacting his vengeance only to lose his own life as well as those of several unintended victims. Schultz’s likely Hamlet, Weinberger, offered his rebuttal several weeks after Reagan’s victory over Democratic candidate Walter Mondale in the 1984 Presidential election. In a speech containing what would later become known as the Weinberger Doctrine, the Secretary of Defense laid out his own views on the use of force, which were significantly more conservative than those professed by Schultz. Weinberger urged forbearance in employing force as anything but the last resort, and only when U.S. or allied interests were at stake. If combat forces needed to be employed, they should be employed decisively, with defined objectives, with public and Congressional support. The Secretary of Defense recognized the limits of force, and sought to avoid involving the military in any new conflicts that could not be won. Out of this debate emerged the beginnings of a policy framework. National Security Decision Directives (NSDD) 138 and 207 both focused on U.S. responses to terrorism but neither resulting in immediately observable action. Top Secret at the time of its signing, NSDD 138 set forth a new U.S. posture that included an “active, preventive program to combat state-sponsored terrorism.” An unclassified extract released to the media stated that “state-sponsored terrorist activity or directed threats of such action are considered to be hostile acts and the U.S. will hold sponsors accountable. NSDD 207 set forth the program itself, including roles and responsibilities tasked to various departments and agencies responsible for providing “coordinated action before, during, and after terrorist attacks.” These two documents form part of the doctrinal foundation upon which rests the contemporary argument for preventive and pre-emptive military strikes against potential attackers. Despite the rhetorical battle and policy directives, U.S. response to terrorism continued to languish until April 5, 1986 when Libyan terrorists bombed a Berlin nightclub popular with U.S. soldiers, killing an American serviceman. After signals intelligence intercepts provided the clear evidence of Libyan involvement, Reagan ordered a retaliatory strike against Libyan leader Colonel Muammar Gaddafi’s regime. The strike still stands as the longest fighter mission in the history of the United States. In a nominally joint effort, aircraft from air bases in the United Kingdom and two U.S. Navy aircraft carriers in the Mediterranean struck five targets distributed across the Libyan coastline on the night of April 14, 1986. A lack of approval to utilize French or Italian airspace forced the U.S. Air Force F-111s to take a circuitous route from the United Kingdom through the Strait of Gibraltar, resulting in a 14-hour journey for an airframe designed for 2-hour missions. Particularly strict rules of engagement, as well as equipment issues, resulted in only four of 18 F-111s successfully dropping their ordnance. The Navy’s aviators had better luck, destroying several parked aircraft and damaging a military facility. In terms of U.S. losses, Libyan air defenses downed one F-111 near the coast, killing its pilot and weapons systems officer. The mission’s strict emissions control posture resulted in their loss going unnoticed until the aircraft failed to rendezvous with their tankers over the Mediterranean. However, the U.S. failed to hit or damage many of the intended targets and Gaddafi’s conventional military response took place less than 14 hours after the last U.S. aircraft departed Libyan airspace. The next day, Libyan forces launched two R-17 SCUD B short range ballistic missiles toward a U.S. Coast Guard long-range navigation station on the Italian island of Lampedusa. Stretched to the very outer limits of their maximum range, the missiles fell into the sea carrying their 875kg warheads without causing damage; however, lack of result should not be mistaken for lack of intent. In a televised interview broadcast via Tripoli TV in 1990, Gaddafi made it very clear that he would have responded to the attack on his capital with reciprocal strikes on the U.S. homeland if Libya had only possessed the capability to do so. "If we had a deterrent force of missiles able to reach New York we would have directed them at that very moment," the colonel proclaimed. Later, retaliation actions included the kidnapping of a British journalist, a rocket-propelled grenade attack on the British Ambassador to Lebanon’s residence, and pro-Libyan terrorists affiliated with the Palestinian-based Abu Nidal organization murdering Western hostages near Beirut and in in Jerusalem's Old City. A Lebanese villager found three of the victims’ bodies on a remote stretch of road near Beirut two days after the conclusion of Operation El Dorado Canyon. Furthermore, within three years of El Dorado Canyon, Gaddafi sponsored two spectacular airline bombings, killing hundreds of innocent civilian passengers. 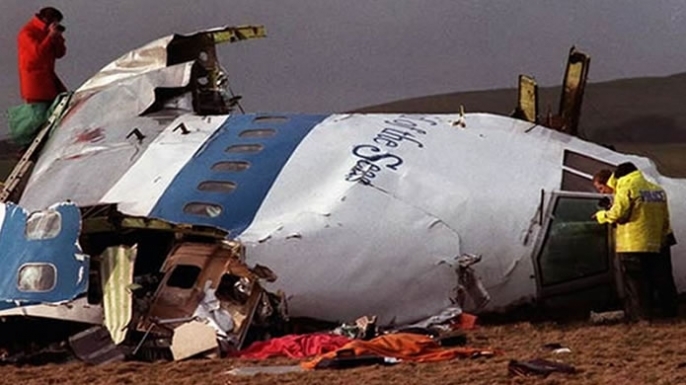 The most well-known of these, the 1988 Lockerbie bombing, served the dual purpose of defying the United States, and simultaneously punishing the United Kingdom for its complicity in allowing its territory to be used as a base for the El Dorado Canyon mission. As American policymakers purportedly mull over the utility of a limited strike against North Korea, examination of the aftermath of Operation El Dorado Canyon should factor into any debate of the likelihood that North Korea might stay its hand rather than retaliate if their nuclear program is targeted by a U.S. strike. Libya’s conventional and asymmetric responses seem to imply that an overwhelming imbalance of relative strength is no guarantor of a non-retaliation. Furthermore, as Victor Cha noted in The Impossible State, the nuclear program is the only achievement of the Kim family since the death of Kim Il-Sung, and the legitimacy and survival of the Kim regime rests upon it. Any attempt to degrade, or strip away, that legitimacy would almost certainly evoke a very powerful response, likely against U.S. ally, South Korea. Should the Trump administration elect to react to North Korean provocation “with a targeted strike against a North Korean facility to bloody Pyongyang’s nose and illustrate the high price the regime could pay for its behavior," it must be honest about the likelihood of retaliation. Gaddafi was limited in his retaliation by the range and capability of his weapons, and yet he responded both conventionally and asymmetrically, to deadly effect. Kim Jong-un’s recourse to retaliation is not similarly limited. Two major U.S. allies, and tens of thousands of U.S. forces, lie within range of North Korea’s arsenal of ballistic missiles and, in the case of South Korea, within the range of conventional artillery capable of turning its capital city into a burning ruin. North Korean midget submarines, though dated, are still capable of sneak attacks like that perpetrated against the Cheonan. North Korean special operations forces routinely rehearse infiltrating the South, and the regime has proven its willingness to employ terrorist tactics both on the Korean Peninsula and abroad. The price of a strike against North Korea will be paid for with the blood of American allies, and potentially that of forward-deployed U.S. forces. Many, if not most, analyses of Operation El Dorado Canyon tend to overemphasize its successes while dismissing its failures. This distortion extends to the U.S. Joint Publication 3-0, Joint Operations, which cites the operation to illustrate the definition of strike and makes the claim that Operation El Dorado Canyon proves the ability of tactical strikes to achieve strategic effects. Failures of the U.S. Air Force’s targeting system, which resulted in a severely inhibited operation, is viewed through rose-colored glasses because it meant the failures were identified before the run-up to Desert Storm in 1991. An honest look at the genesis of El Dorado Canyon holds a mirror to the discussion on the use of force in 2018, and the reflection is far from pleasing. For those urging President Trump to take military action in order to signal U.S. displeasure with North Korean actions, Gaddafi’s actions from April 15, 1986 through 1989 should serve as a warning that such a strike will not be costless for the United States or its allies. Blake Herzinger is a maritime security and Asia-Pacific security cooperation specialist. His father deployed in support of Operation El Dorado Canyon. The views expressed in this article are those of the author alone and do not represent those of his civilian employer, the U.S. Navy, Department of Defense, or the U.S. Government.